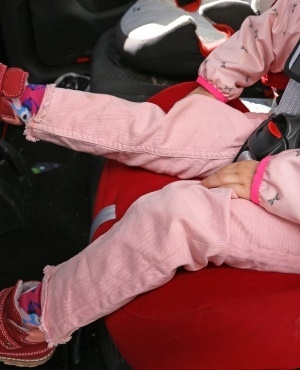 A four-year-old girl from Yiyang in China suffocated in the backseat of her father’s car after he left her alone in the vehicle for nine hours. The child, whose name is Qi Qi, was asleep in the backseat of the car as she was being driven to preschool on 8 April, Mirror UK reports. The little girl’s father, who’s only been identified by his surname, Hu, said he’d parked his car by the preschool’s gate before answering a phone call from work. Hu forgot to check whether his daughter had got out of the car before driving off in a hurry and leaving his vehicle for the entire day in the parking lot of the car dealership where he works, reports Newsbeezer.com. "I answered the call and forgot to check. I didn't notice until my wife called me at 5pm asking where our daughter was," he told local media. "I thought and thought and then finally found her in the back in the footwell." Hu’s wife had gone to fetch the little girl at Wanyuan Kindergarten but was told she hadn’t been to school that day. Qi Qi was declared dead shortly after being taken to the local hospital. Her father believes the preschool should be held accountable for his daughter’s death. “The school usually calls or sends messages asking why a pupil isn't there, but why didn't they contact us this time?" he said. "In my opinion, they’re more liable. Had they called, I would’ve noticed sooner." "There are three teachers and only around 10 pupils at the school. How could they not have noticed one pupil missing?" The education bureau in the district of Heshan says the school has already reached a settlement with the family, offering them damages in the amount of around R55 000, while further investigations are ongoing.